When it comes to your children, you always want the best for them. Especially when they are in the direct care of another. 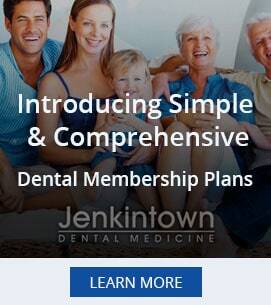 At Jenkintown Dental Medicine, our goal has always been to serve our patients with the best care possible. Sometimes it can be challenging. For both adults and children a visit to the dentist can be extremely stressful. That is why we try our best to make your child’s visit as comfortable as possible. If you are still looking for a pediatric dentist in Wyncote now is the time to call Jenkintown Dental Medicine for all of your family’s oral health needs. Education and prevention are the two most important tools you can use when it comes to your child’s oral health. By teaching them what happens during a routine check-up you will eliminate most, if not all, anxiety during their visit. Your pediatric dentist in Wyncote understands that children can be very impressionable. So if they see something on TV or in the movies that depict a bad visit to the dentist, it will create unnecessary fear. So what can you do? It starts at home. Read books, picture books, so they can see and understand what happens during a routine check-up. You can also practice what it would be like during the doctors visit. Give them something that gives them comfort like their favorite stuffed animal or take them to get pizza if they are a “good boy or girl” during their visit. At the minimum, make sure you are doing your best by showing them how to keep good oral health. Make sure they are brushing their teeth twice a day and show your children how to use floss and mouthwash properly. By taking the necessary steps to help your children, you are alleviating their fears and any potential dental problems linked to poor oral care. When you visit our pediatric dentists, you and your smile are our top priority. Dr. West, Dr. Wilk, and our entire staff are committed to providing you with the gentle dental care that you deserve. Proudly serving Jenkintown, North Wales, Montgomeryville, Lansdale, Upper and Lower Gwynedd, Hatfield, and the surrounding areas in Pennsylvania, including Warrington, Chalfont, New Britain, Doylestown, and Colmar. Are you still trying to find a pediatric dentist near Wyncote? We invite you and your family to schedule your appointment with us today to receive high-quality care from experienced dental professionals who truly have your best interests at heart. Call your Wyncote pediatric dentist at 215-885-6565 or contact us online today!